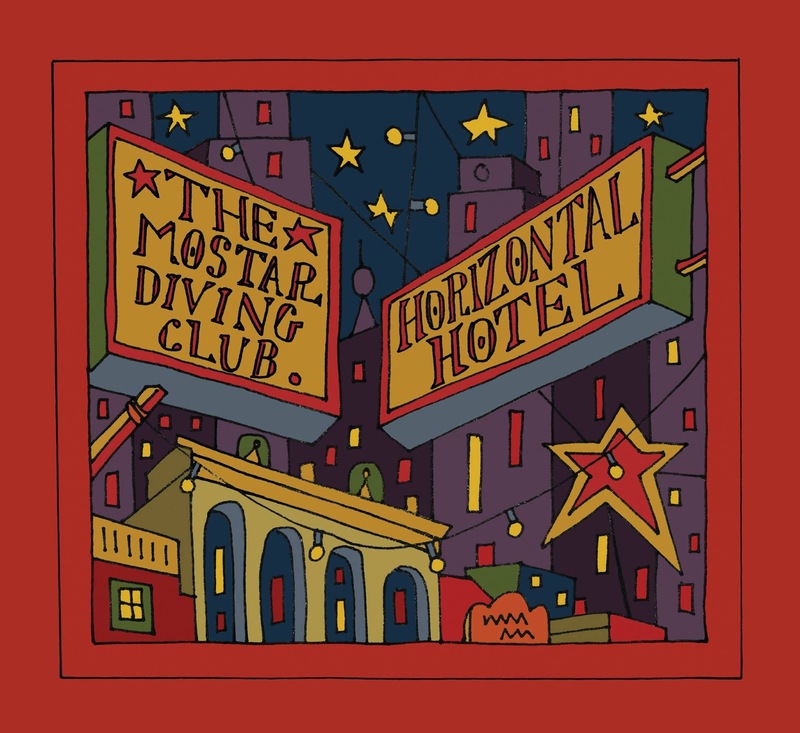 The Mostar Diving Club deliver their long awaited third album Horizontal Hotel, the follow up to the critically acclaimed Triumph of Hope. 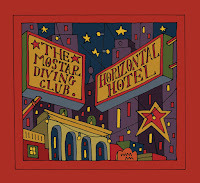 I was alerted to Mostar Diving Club a few years ago by a fan of I Am Kloot. I duly purchased their back catalogue and wasn't disappointed (their Christmas LP from a few years ago is a classic). The loose collective of musicians are led by vocalist and multi instrimentalist Damian Katkhuda. They aim to create music without the need of computers and samplers. As such, there is a real organic feel to their charming lush records. Out In The Backwoods gets the album underway. "The party is over and I'm heading south" sings a melancholic Katkhuda. Despite the melancholy in his vocals on this and follow up Scattered Flowers (where he sings about a funeral), the music is surprisingly upbeat. The violin adds real depth and even the banjo sounds good. Nothing Else has a real Spanish flavour to it and continues to be upbeat. Old Yellow Sun is more laid back. It is reminiscent of a 40s dance band song, with muted trumpets and a swing to it. Quiet Hands is a return to the sound the band created on their Triumph of Hope album. Crooked Sea is awash with some beautiful string arrangements,making it one of the highlights of the album. Cuckoo's Nest has a simple piano ostinato coupled with more fine string arrangements. Down To Pleasure could be from a Shane Meadows sound track. Blood Pact is slightly popier than the norm for Mostar Diving Club before Arlo Mud brings the album to a close. In a similar vein to Tim Booth, Katkhuda questions the existence of God on this track, which is a more downbeat end to the album than you might expect. All in all, Horizontal Hotel is a welcome return for Mostar Diving Club. Like I Am Kloot, they deliver a collection of timeless, well crafted, thoughtful songs. The Mostar Diving Club's official website can be found here and they are also on Facebook and Twitter. The album can be purchased, along with their others, from their Bandcamp site.